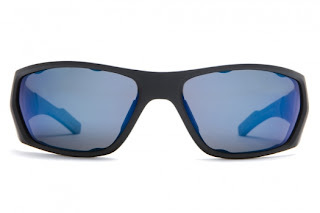 Been looking for a pair of shades that provides comfort and function without breaking the bank? I currently own 4 pairs of sunglasses for driving/hanging out, sportswear/coaching, triathlon racing, and home construction projects. With these bad boys I ditched the 3 I own for the latter activities! Unboxing: The Endo-model sunglasses came with a semi-rigid zipper carrying case, a drawstring carrying bag, polarized reflex blue (extreme sunlight, installed) and bronze (moderate to bright light, replacements) interchangeable lenses, and a Velcro spare lense sleeve that can be removed from the zipper case. To test these out I virtually lived in them over the Memorial Day weekend up at Mille Lacs. True to their website these fit comfortable on my larger-than-average skull. Wearing them right on the ear pinched slightly, but a quick bump above the ear reduced the pinching to barely noticeable. The Cushional™ grips delivered: secure enough to keep the glasses on in any position and virtually unnoticeable on my face while providing enough flex for comfort. I spent 2 hours picking rocks out of the water and never once felt like I was going to have to catch these off my face. Anyone who has been to Mille Lacs knows it is always some degree of windy. The wrap-around, close-fit lens design kept me from tearing up every time I put the boat in gear. Broad hinges at the temple protect your peripheral, but the lens construction maintains better-than-expected vision on the sides (no tunnel vision). In short, a broad range of vision that protects from the elements. Last test: running. There was a little bounce to the lenses with each stride, but the bounce was minimal and not distracting. Surprisingly, I did not get sweat in my eyes or dripping down the lenses as is typical of my other sports glasses. This was only a short run, but it was a welcome change from the blurred vision I am used to during a typical summer workout. The only downside of these relates to the lens swap-out process. I did not see the instructions for doing this in the box, though it could have been lost in the shuffle of my excitement to get these on my face. I turned to their website where they have a video showing the procedure for making the change. You have to wait through a couple of other styles of lenses before you get to the Endo model, at which point they quickly and easily show you how to remove and replace a lens in about 20 seconds. All I seemed to be able to accomplish was coating my lenses with fingerprints and an uptick in anxiety as I waited for something to break. I gave up. Overall this is a great set of shades. These can be used for just about any outdoor activity you can think of, and at $109/$129 (bronze or blue lenses, respectively) I don’t think you’ll find a better deal. 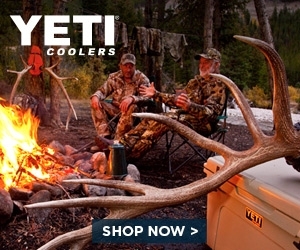 Look for them at just about every outfitter you can think off, or find their complete selection on Zappos.